I composed this piece one afternoon in the early-80s using a Martin D-18 guitar and Will Harvey's Music Construction Set on my dad's Apple IIgs computer. My little brother had just bought the music software and I was fascinated by it. 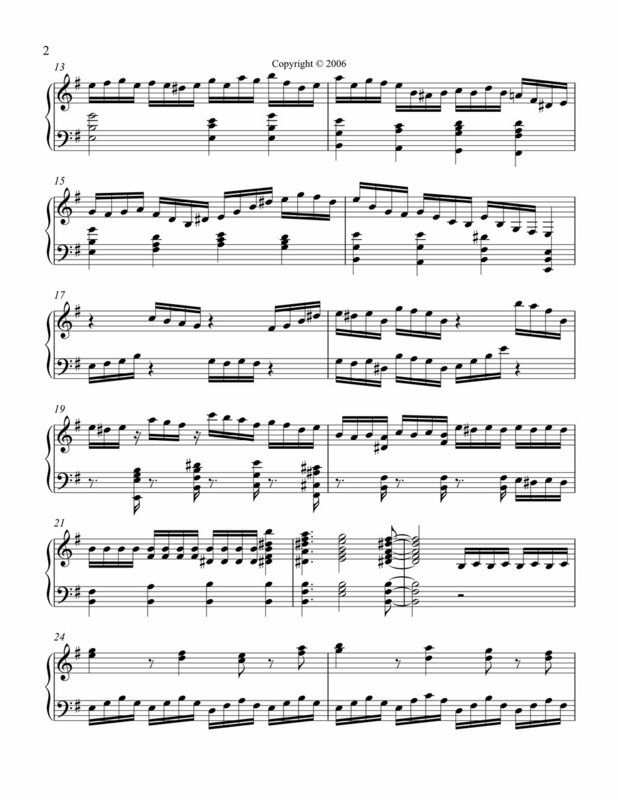 I was a music student at the time at North Texas State and had been listening to a lot of Bach (thus his influence on this tune). After I wrote this tune, i pretty much forgot about it. My dad ended up putting the Apple in his attic for many years where it roasted in the Texas heat. When he sold his house, he insisted I take the Apple for my kids to use (we didn't want that old thing, but couldn't tell him, "no"). The Apple went straight to my attic in Tennessee where it froze and cooked in the Tennessee winters and summers. When we sold our house in 2002, I tried to throw it away, but the garbage man wouldn't take a computer. I tried selling it in a yard sale for $5 but no one would buy it. I took it to GoodWill, but they would not take used computers. I ended up taking it to our new house where it sat in the driveway for a few weeks - getting snowed on three time. My brother came to visit and saw the old Apple and got excited saying, "I still have a box of the floppies for this thing!" I replied, "Its dead Jim" [quoting Bones on Star Trek]. He took it back to Dallas anyway. When he got home, he plugged it in and it booted up! He fed floppies into it until he found the old music program and my tune. He listened to it on the cheesy sound card and thought it was worth preserving, so he attached the 20 year old dot matrix printer. the paper feed didn't work, the the ribbon did. He hand forced paper through the printer to get a print out. He then scanned it and e-mailed it to me. When I got the e-mail, I printed it out and stayed up till 2:00 am looking at the smeared/smudged score through a magnifying glass and entering the notes into Sibelius. Then I saved the score as a MIDI file, imported it into Pro-Tools, and played it using a MOTU Mach5 sampler loaded with a Bosendorfer grand piano library. When I heard the song played through my studio monitors, I was glad it had been preserved.